Grammarly is one of the best proofreading software programs available for iOS, Android, Windows, and MAC. Web version Grammarly is also available as a browser extension. If your writing skill is poor or sloppy, you can try this application since it supports different varieties of the English language. Grammarly provides a Free version, Premium, and Business accounts. 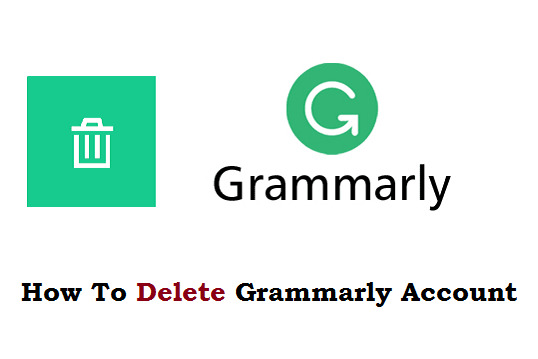 If you'd like to completely get rid of Grammarly, you can easily delete your account. 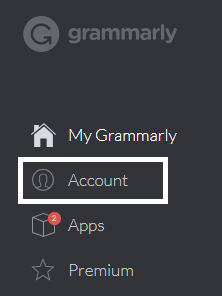 If you're ok with Grammarly alternatives, you would like to delete the existing Grammarly account. 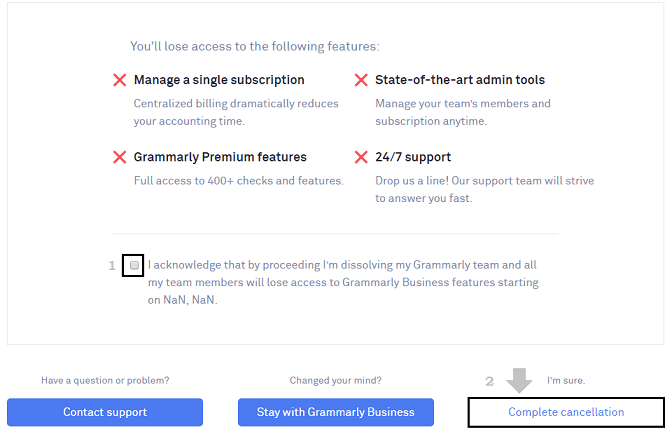 You can cancel subscriptions at any time or you can temporarily disable Grammarly for a while. If you have the PC version of Grammarly on your system, you can uninstall the application by going to Control Panel > Uninstall a program under 'Programs'. To delete your Grammarly account, you should go online. 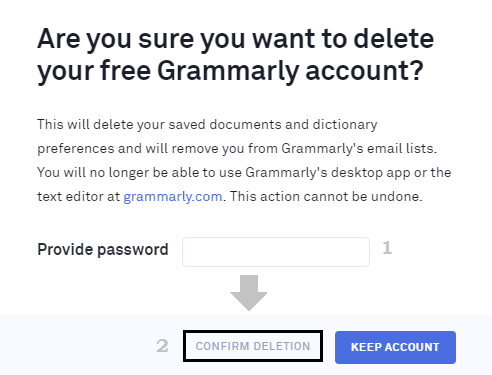 In this tutorial, you'll learn how to delete Grammarly account permanently and cancel subscriptions. Active Grammarly account (Free, Premium or Business versions). Desktop PC to delete the account. As per the requirement, you need a desktop PC to delete or cancel your subscription with Grammarly. The mobile version requires Grammarly app to use but still, you need to log in from PC to delete the account. Click the Account option which is on the left pane. Under Account Settings, you can see the Delete Account option at the bottom of the page. You'll see a pop-up message asking you to enter your password. Enter your Grammarly password in the required field and then click Confirm Deletion button. Note: In case, if you used Facebook to sign up for Grammarly, you need to enter your Facebook password to confirm deletion. Your account will be permanently deleted which cannot be undone. If you'd like to downgrade to Grammarly free account, you should cancel the subscription to avoid future payments. At any time, you can upgrade your account if you wish. Log in to your Grammarly account. Click the Account tab on the left pane. Click the Subscription tab (last option on the left pane). Click the Cancel Subscription button which is at the bottom of the page. Confirm your cancellation when prompted. Sign in to your Grammarly account. You'll be redirected to the admin page, only if you have a business account subscription. Now go to Account > Subscription tab from the Admin Panel. Click the Cancel Subscription option at the bottom of the page. Tick the Checkbox for acknowledgment. Click the Complete cancellation button. You'll no longer use your business account after confirmation of canceling the account. You'll lose the Premium features and 24/7 customer service from Grammarly. Note: Your business account will be downgraded to the basic version at the beginning of the next billing cycle. Your future payments will be canceled after downgrading your account. Whenever you type in the text field, Grammarly will automatically scan the content for Grammatical error. It's the sole purpose of this application. 1. Sign out of Grammarly. 2. Disable Grammar and Spelling check. 3. 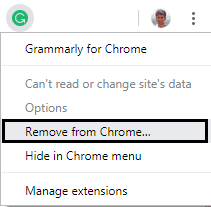 Remove Grammarly Browser Extension. Click the Log out option under your account name. Immediately, you'll be logged out of your account. 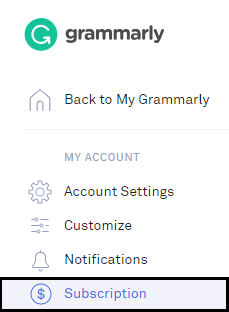 While logged in to your Grammarly account, you can still disable the auto-grammar check. Click the Grammarly extension on your web browser. 'Toggle Off' Check Grammar and Spelling. It will be disabled for the specific website. On each website where you put your content, you've to 'Toggle Off' the Grammar check every time. You can again 'Toggle On' to enable this feature. If you're a Google Chrome user, you can easily remove the addon in a few clicks. 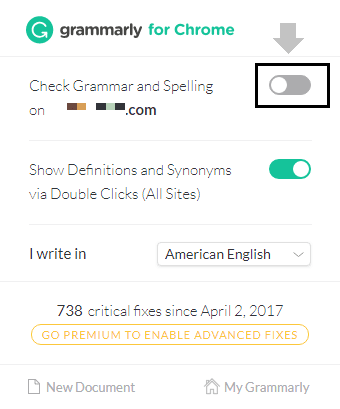 Right-Click on the Grammarly extension. The addon will be removed from Chrome. You can follow the above steps if you're using other web browsers that support Grammarly add-on. Grammarly is awesome to improve your English in writing. It has already helped thousands of employees and students to polish the quality of writing. If you had deleted your account, you can sign up again if you'd like to continue their services. I hope this helps. Liked this tutorial? Please share and care!